Matas is a Danish retail chain with around 300 shops across the country selling perfumes, cosmetics, health care products etc. 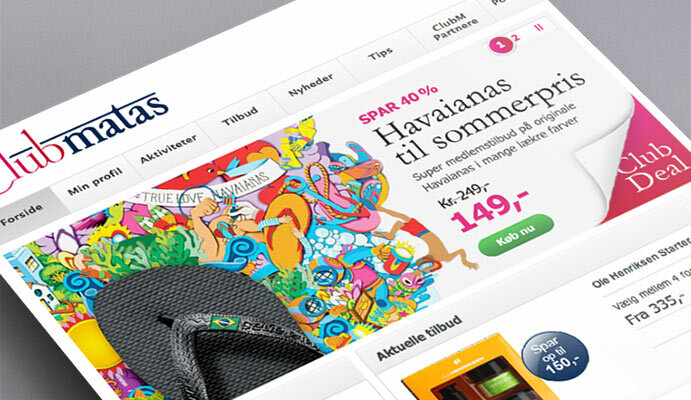 With around 1.2 million members, its customer loyalty programme – Club Matas – is the largest in Denmark. We have helped Club Matas create what, as far as we know, was Denmark’s first YouTube Brand Channel, featuring a number of videos with tips and advice on beauty, health and wellness. We have also designed a large number of items for newsletters and developed a concept for special offers on the members portal, clubmatas.dk.